Just a short drive from Soller, the Petit Hotel is located on a tranquil, traffic-free street in Fornalutx, widely recognised as one of Spain’s prettiest and most distinctive villages, With a dramatic and idyllic setting in an orchard-filled valley at the heart of the stunning Serra de Tramuntana mountain range and overlooked by Puig Major, Mallorca’s highest mountain, this extraordinarlily beautiful and immaculately conserved traditional mountain village has received many awards and prizes over the years. 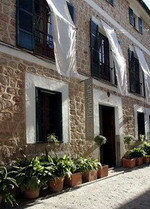 Cas Comte Petit Hotel and Spa is a stylish Majorcan hotel which is located within an 18th Century building. This old world country house was once part of the Ayamans Palace. It has been sensitively restored and still retains many of its original features both internally and externally. This Majorcan hotel is situated in the stunning location at the foot of the Serrs de Tramuntana mountain range yet close to the village centre of Lloseta. From now on, the Cas Comte Petit Hotel offers an Spa with sauna, turkish bath, massage treatments, relax room and jacuzzi. 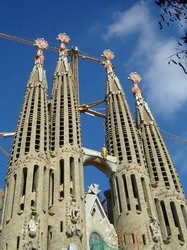 Our hotel is located in the center of Barcelona, next to the Ramblas, with the all major visits just a walk away. We are surrounded by art, culture, museums and architecture from the past and the future; excellent restaurants, leisure and amusement facilities such as Maremagnum and the Olympic sea port. 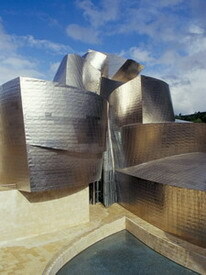 Our hotels have a family atmosphere and our aim is to feel you are in a home from home. All rooms have air conditioning, private bathroom, shower, satellite TV. 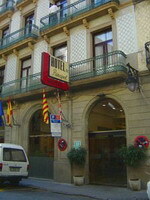 Radio, telephone, have hairdryer and a strong box (optional), superior rooms have original paintings of Barcelona. Innkeepers Anna Gallagher, an Irish American from Philadelphia, and Juan Luis Guillen, a Spaniard, decided to settle in the wine region of Ribera de Duero, in the heart of the region of Castilla-Leon. Shortly after settling, they discovered the Palacio de Guzman and made preparations to open this jewel to the public. 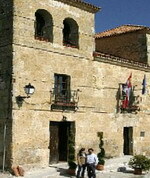 The town of Guzman is located halfway between Madrid and Bilbao, in the center of the pentagon formed by Segovia, Valladolid, Palencia, Burgos and Soria. 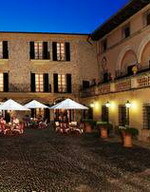 Within a 25 mile radius of the palace, guests can see some of the finest wineries in Spain, visit local Romanic and baroque monasteries, churches and ruins, walk through vineyards, sample mouth watering suckling lamb and other local gastronomic delights, play golf and generally enjoy country-living. Beautifully situated in the oldest paved street of Ronda and surrounded by historic buildings, this unique and laid back hotel is just moments from the city centre but yet faces the natural park "Sierra de las Nieves”. The house itself has been decorated with eclectic details, original and historical artwork and atmospheric lighting. Above the very intimate bar and relaxed dining room, the hotel provides an outdoor swimming pool and a sauna, a recreation room with a pool table, satellite television, fire place, a library as well as a computer with free access to the internet. The subtropical garden, with a large variety of exotic plants, birds and fish, is an attraction for nature lovers and the children. Several romantic courtyards and terraces offer stunning views of the mountains, the river "Guadalevin", the old city and the renowned horse riding school "Maestranza de Ronda". Probably the most remarkable characteristic is that the breakfast-brunch buffet, all drinks day and night and the use of all the facilities are included in the price of the room, making Enfrente Arte your home in Ronda.